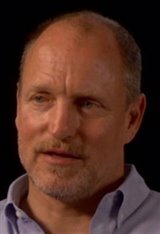 Born Woodrow Tracy Harrelson in Midland, Texas, Woody Harrelson had a childhood unlike most other people. His father, Charles Voyde Harrelson, went to prison for life, convicted of murder when Woody was only seven. His mother, Diane, a legal secretary, raised her three sons in Lebanon, Ohio. After obtaining an English and theatrical arts degree in 1983 from Hanover College, Indiana, Woody went to New York City to pursue a career in acting. He began as an understudy in Neil Simon's Biloxi Blues. Within months, he was cast as the good-hearted but dim-witted bartender Woody Boyd on the hit TV series, Cheers. He was nominated for an Emmy five times and won in 1988 for Outstanding Supporting Actor in a Comedy Series. Woody's movie career took off with 1992's White Men Can't Jump , and although he seemed miscast in 1993's Indecent Proposal , the film was a major hit. With Oliver Stone's contoversial Natural Born Killers , Woody received high artistic praise as well as social condemnation and it allowed audiences to view him in a completely new light. In his Oscar-nominated role as Hustler magazine founder Larry Flynt in the 1996 biopic The People vs. Larry Flynt , critics no longer dismissed Woody as a light-weight actor. In 1999, Woody, a vegan, received another Emmy nomination for reprising the role of Woody Boyd in a guest appearance on Frasier. In 2003 he won an Honorary Maverick Award at the Woodstock Film Festival for his independence regarding art and politics. He received his second Academy Award nomination in 2010, for his work in The Messenger (2009). Woody played the high profile role of Haymitch Abernathy in the film adaptation of Suzanne Collins' bestselling book The Hunger Games (2012). He reprised the role in the sequels The Hunger Games: Catching Fire (2014), The Hunger Games: Mockingjay - Part 1 (2014) and The Hunger Games: Mockingjay - Part 2 (2015). Woody reprised his role as Merritt McKinney in the 2016 sequel Now You See Me 2 , followed by roles in three more movies released in 2016: the western drama The Duel , the biopic LBJ and the teen dramedy The Edge of Seventeen (2016). He also starred in the action/adventure flick War for the Planet of the Apes (2017) with Andy Serkis. For his role as Police Chief Willoughby in the drama Three Billboards Outside Ebbing, Missouri (2017), he received his third Academy Award nomination and his first nomination for a BAFTA Award. He also shared a Screen Actors Guild Award with the rest of the cast for Outstanding Performance by a Cast in a Motion Picture. More recently, he played a criminal named Tobias Beckett who teams up with Han Solo (Alden Ehrenreich) in the Star Wars prequel, Solo: A Star Wars Story (2018) and portrayed real-life Washington reporter Jonathan Landay in Rob Reiner's Shock and Awe (2018). In 1998, he and longtime love Laura Louie were married in a private ceremony in Costa Rica. Laura, formerly Woody's assistant, had worked with him for more than two years before they became romantically involved in 1990. Laura is currently a partner in their production company, Children at Play, and in their health food restaurant/oxygen bar in Los Angeles. Together they have three daughters: Deni Montana, Zoe Giordano and Makani Ravello.